The Mercedes had only one working window when we purchased it. At least the working window was on the driver's door. The rivet failed, so we tapped it and put in a bolt with a washer. This is a good low-buck way to fix something like this. 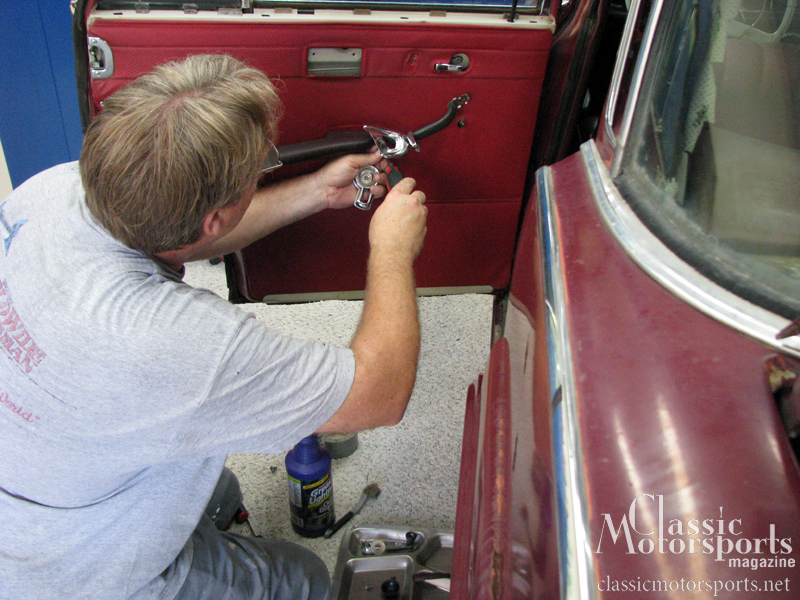 We spray Eastwood’s Heavy-Duty Anti Rust any time we have a door apart. 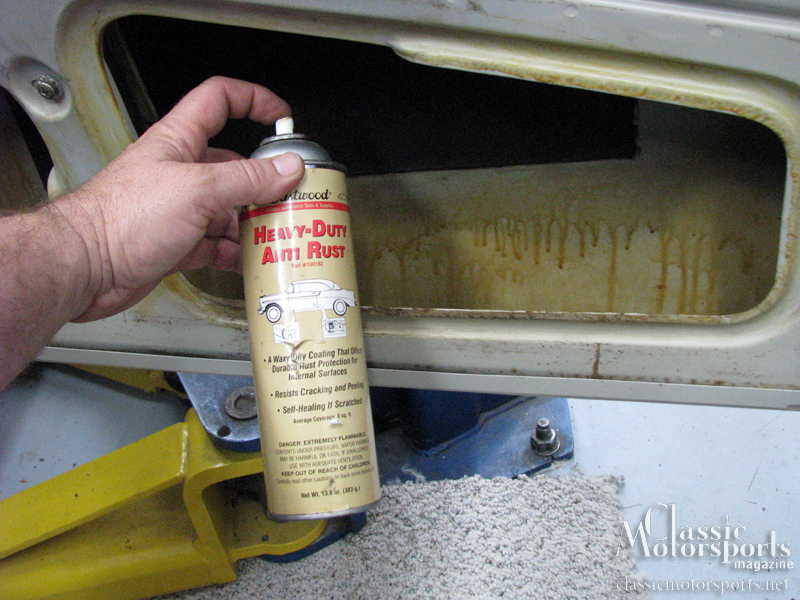 It will help keep the seams at the bottom of the doors rust-free. After everything is clean, we start putting our doors back together. Voilà! Our doors came out great and our windows go up and down easily. And it didn't cost us anything. If only the rest of the car was this easy. 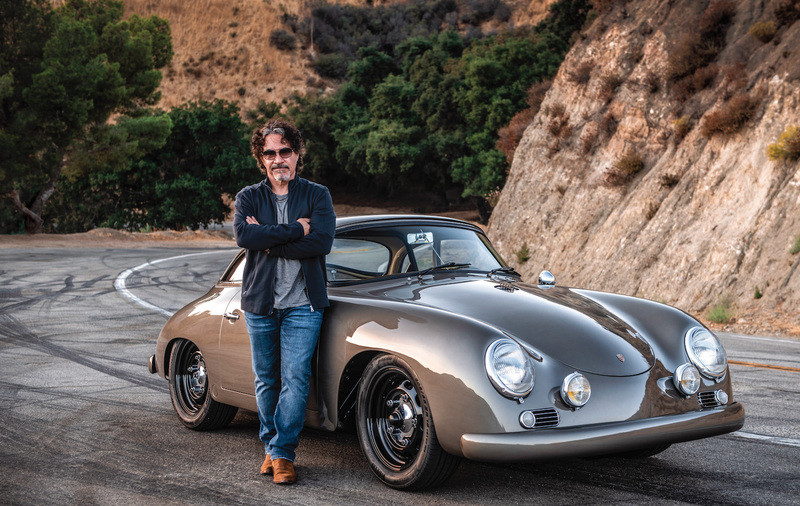 Before we could even give our new find a bath, we figured we had better make it watertight. We ordered parts to fix the brake problem we mentioned in our last update. 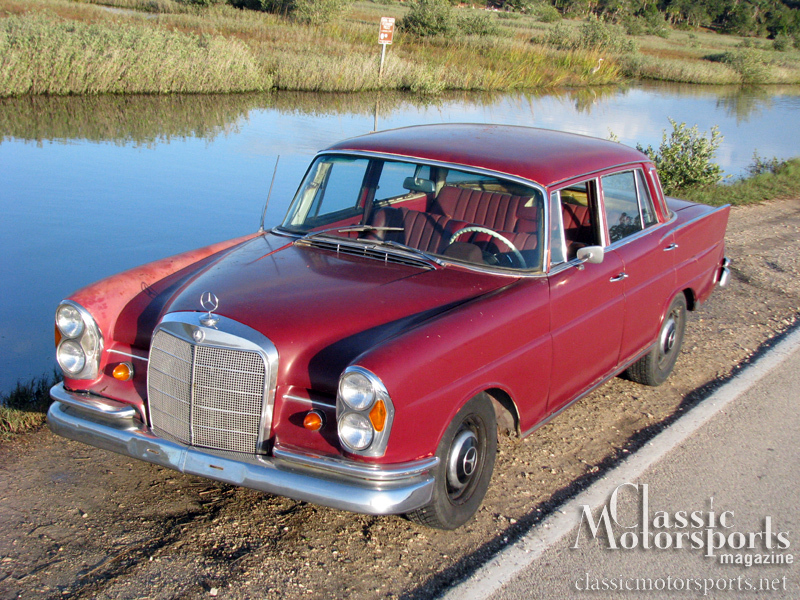 While we wait for parts to get here, one of our new 1966 Mercedes-Benz 230 S‘s most glaring problems is that three out of the four windows do not go up and down. Working windows are critical here in Florida, so before we could even give our new find a bath, we figured we had better make it watertight. Taking off the door panels on this old-school Mercedes is straightforward. Simple clips and Phillips-head screws hold the panels and handles on. 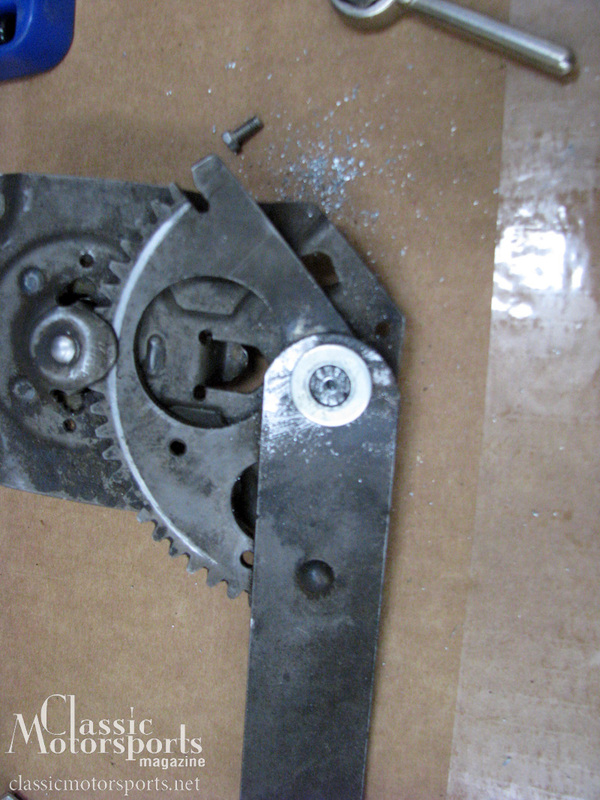 With the door panels removed, it was obvious that the rivets in the window regulators had failed: They had come apart. We repaired one and replaced the other two. Fortunately, the former owner had taken the time to find some used window regulators, but not the time to replace them. While we were in there, we cleaned and lubricated everything and vacuumed out the bottoms of the doors. We also sprayed in Eastwood’s rust preventive. 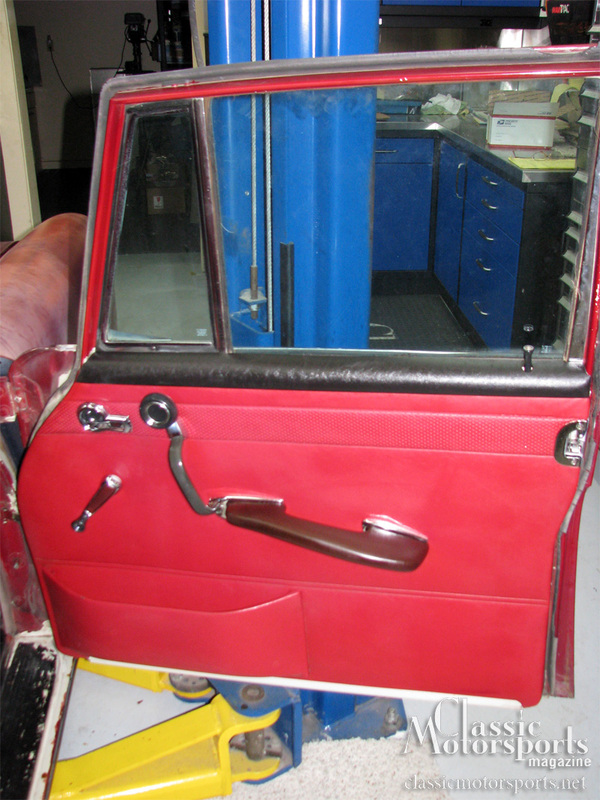 We then cleaned and silicone-sprayed the interior door panels and chrome hardware. In half a day, we had all the doors looking and working like new, at least from the inside.